Newt Gingrich has a slew of big - and unconventional - ideas for the economy.  Newt's moon colony: What would it cost? 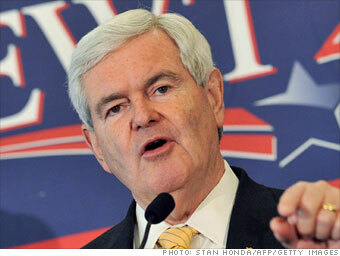 Newt Gingrich may capture the Republican nomination. He may not. But one thing is for sure: Gingrich is an ideas man. And they're not just any ideas. They are big -- really big. "You're right," Gingrich told his opponents during a recent debate. "I think grandiose thoughts. This is a grandiose country of big people doing big things, and we need leadership prepared to take on big projects." Here are a few of his "grandiose" ideas for the economy.